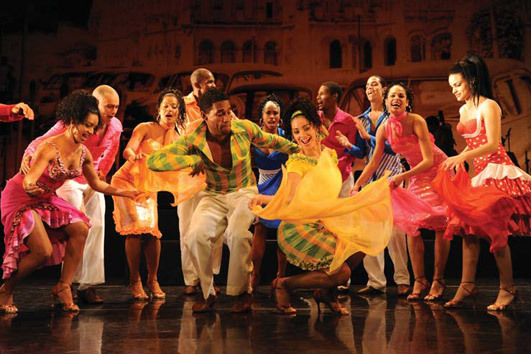 Originally the dream of Cuban choreographer Nilda Guerra, Havana Rakatan has now completed four successful West End seasons and toured around the world where it has been enjoyed by thousands. Salsa, mambo, jazz, bolero, son, cha-cha-cha and rumba all come alive in a dazzling dance display of Cuban passion that is guaranteed to get heads nodding and feet tapping. Set to live Cuban music courtesy of Cuba's well-known son band Turquino, Havana Rakatan is a captivating journey through the dance and music of a truly unique country.